Tibet Society UK welcomes the decision of the Foreign Affairs Committee to conduct an inquiry into Autocracies and UK Foreign Policy. This submission was prepared for the Foreign Affairs Committee’s inquiry into the policies of the UK Government towards autocratic states. 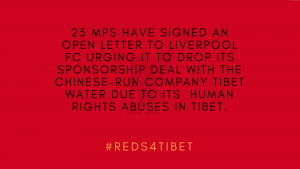 In the first section of the submission, the International Campaign for Tibet and Tibet Society UK explore some of the ways in which the Chinese authorities are using technologies to assist with repression inside Tibet and what the UK government can do to hinder this development, including by securing access to Tibet. The second section focuses on the ways in which the Chinese government is attempting to interfere in the domestic affairs of the United Kingdom. It does this by preventing British diplomats, journalists or citizens from freely entering Tibet, but Chinese delegations, state media and tourists are able to travel without obstruction in the UK. The submission also includes recommendations on what the UK and its partners could do to address these serious concerns and re-balance British-Chinese relations. Since President Xi Jinping rose to power, the human rights situation for those living under Chinese rule has seriously deteriorated and the Chinese government has continued to practice autocracy with Chinese characteristics. of daily lives through the increased use of digital surveillance technologies. The Chinese authorities have moved from instilling an oppressive environment in monasteries, nunneries and lay society in Tibet to a totalitarian one – an approach in which the state recognizes no limits to its authority, imposes a climate of fear, and seeks to regulate every aspect of public and private life. The intrusive systems of security are also being imposed in Tibetan areas of the provinces of Qinghai, Sichuan and Gansu. This expansion of the powers of military and police – backed by grass roots propaganda work and electronic surveillance – comes under the general rubric of ‘stability work’ as emphasised by China’s President Xi Jinping. Chinese authorities have helped install facial recognition surveillance in taxis in the Tibetan capital of Lhasa. On March 5, 2019 Chinese state-run newspaper Global Times announced the rollout of 200 taxis equipped with facial recognition and real-time monitoring. While the Global Times asserted that the purpose was to “help with driving security checks and to ensure passenger safety,” the new tech in taxis is consistent with the much more systematic approach by the authorities which has led to one of the most dystopian and penetrative security states in the world being imposed in Tibet. It is a system that combines cutting edge surveillance technology with the deployment of tens of thousands of Party cadres in monasteries and people’s homes in an effort to influence and shape Tibetan thoughts and beliefs. The tightening of control and surveillance measures are particularly heightened during sensitive periods in Tibet, including most recently during the 60th anniversary of the Tibetan National Uprising of 1959. This use of surveillance to repress the Tibetan population largely escapes international attention as Tibet remains largely closed to the outside world, including for journalists. President Xi Jinping’s claim that Tibet is open to international visitors continues to ring hollow as the Chinese authorities routinely deny foreigners entry into Tibet. Today, Tibet is one of the least accessible regions in the world for journalists and independent observers. There are currently at least 17 outstanding visit requests by the UN Office of the High Commissioner for Human Rights (OHCHR), including by the UN Special Rapporteur on Freedom of Religion whose visit request has been outstanding for over 16 years. In the last 20 years, China has allowed only two UN High Commissioners for Human Rights to visit the country in order to assess the human rights situation: Mary Robinson in 1998 and Louise Arbour in 2005. Similarly, the UK government’s requests to visit the country have fallen on deaf ears. Although a UK diplomat was granted access to Tibet in June 2014 on an escorted visit and the British Ambassador visited Tibet from 26-30 June 2017 with other EU Heads of Mission, requests made specifically by the UK government to visit Tibet have remained outstanding since 2014. 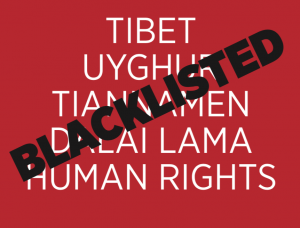 The lack of access provided to human rights monitors to investigate the human rights situation in the country has serious repercussions for Tibetans. It is urgent that democratic governments fully implement the principle of reciprocity in their relations with China and require unfettered access to Tibet. Despite Chinese claim that the situation in Tibet is normal, they continue to close the Tibet Autonomous Region to foreigners during politically sensitive periods. In 2019, China has announced that it will be closed to foreigners from January 30 until April 1. This coincides with the 60th anniversary of the Tibetan National Uprising of 1959, which saw tens of thousands of Tibetans killed by the Chinese military as protested against the Chinese occupation of their homeland. At the same time, Tibetans are regularly prevented from travelling outside China, and those passing information abroad are severely punished. 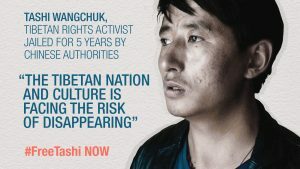 A prominent example is Tashi Wangchuk, a young language rights advocate who was sentenced to five years in prison last year after he gave an interview to The New York Times about his efforts to protect Tibetan language education in schools in Tibetan areas. China’s intransigence also reveals a dangerous lack of reciprocity in our relationship that could eventually threaten our rights and democracies. 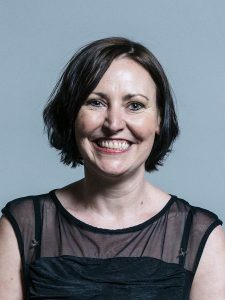 While Chinese citizens, diplomats, journalists and NGOs traveling to the UK have unimpeded access to all of the UK, the same cannot be said of UK citizens visiting Tibetan areas. British citizens also require a number of special authorisations and permits in addition to their Chinese visa to enter the Tibet Autonomous Region (TAR), which spans about half of Tibet. For those who do get in, a government-appointed guide must accompany them. Sadly, these restrictions are even harsher for UK citizens of Tibetan heritage, many of who are refugees who escaped from Tibet and are specifically targeted and discriminated against by Chinese embassies and consulates when they apply for a travel permit. This cruelly prevents them from being able to see their families whom, in many cases, they have been separated from for a very long time. The one-sided nature of China’s freedom of movement regime is a matter for global embarrassment and falls desperately short of promoting equal relations between states, not to mention undermines human rights. At the very least, Tibetans should be able to travel freely within Tibet and China and British government officials, journalists, NGOs and citizens should be granted the same treatment when visiting China that Chinese officials expect to receive when they visit the UK. An increasing number of official Chinese delegations have been sent to countries, including the United Kingdom, where they have spread Beijing’s official view on Tibet and other sensitive issues. Similarly, while Chinese state media can come and go in the United Kingdom—and use this freedom to flood us with state propaganda— British journalists reporting on both China and Tibet face mounting obstacles, including expulsion and intimidation. 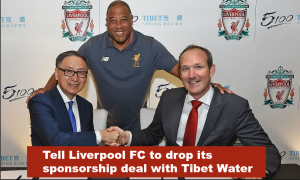 China is able to interfere in the domestic affairs of the UK through their access to the country while the British citizens are all too frequently denied access to Tibet. China is taking advantage of the freedom in the United Kingdom— freedoms they do not respect at home—while continuing to oppress the Tibetan people with complete impunity and discriminating against UK citizens. In the United States, they recognised this lack of reciprocity, and adopted in December 2018 the Reciprocal Access to Tibet Act, a legislation that promotes access to Tibetan areas for American diplomats, journalists and ordinary citizens, just as their Chinese counterparts enjoy in the US. This legislation is already having an impact as Chinese leaders on Tibet are now saying that they have decided to adopt a faster process for foreign tourists to receive permits to enter the Tibet Autonomous Region. On March 25, 2019 the US State Department published a report as part of the implementation of the Reciprocal Access to Tibet Act, on the level of access to Tibet (both the Tibet Autonomous Region and adjacent Tibetan Areas) granted to US citizens by the Chinese government. The report stated that The Chinese government systematically impeded travel to the Tibetan Autonomous Region (TAR) and Tibetan areas outside the TAR for U.S. diplomats and officials, journalists, and tourists in 2018. The European Parliament’s report on EU-China relations, adopted in September 2018 urged “the EU institutions to take the issue of access to Tibet into serious consideration in the discussions on the EU-China visa facilitation agreement”. It also asked “China to give EU diplomats, journalists and citizens unfettered access to Tibet in reciprocity to the free and open access to the entire territories of the EU Member States that Chinese travellers enjoy”. The United Kingdom needs to consider concrete ways to rebalance our relationship with China—to highlight respect for fundamental rights like freedom of movement and of the press. Demanding access to Tibet should be a concrete first step in this direction. Request data regarding the number of visas granted to Chinese official delegations to the UK and to UK official delegations to Tibet.